Just in time for the premiere, the first review of Nudged was published in the San Marcos Daily Record this morning. Get your digital copy now! The review will also appear in the Wimberley View on Thursday, May 14, 2015. With the permission of the newspaper you can download a PDF of the review: Review in the San Marcos Daily Record. 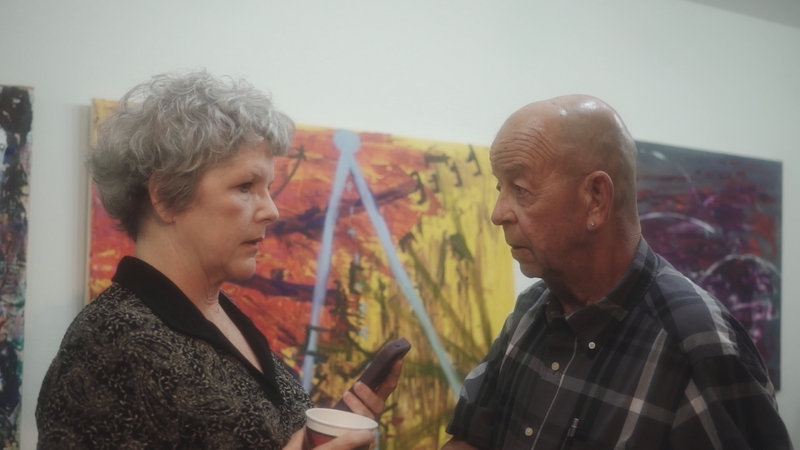 A new still from the film: Mary (Carla Daws) and Paul (John Daws) discuss math-in-art at the Bent Tree Gallery.